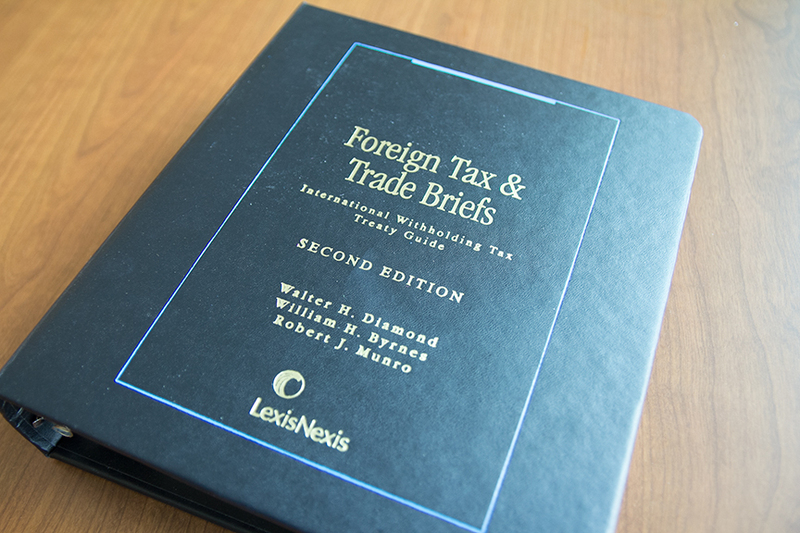 LexisNexis released in September 2013 the new and expanded 2nd Edition of its International Withholding Tax Treaty Guide. Thomas Jefferson’s Associate Dean of Graduate & Distance Education William Byrnes is the co-author with Dr. Robert J. Munro, retired law librarian of University of Florida. This is William Byrnes and Robert Munro’s sixth book together.